Identical to our brass candlestick #1106, but in pewter. 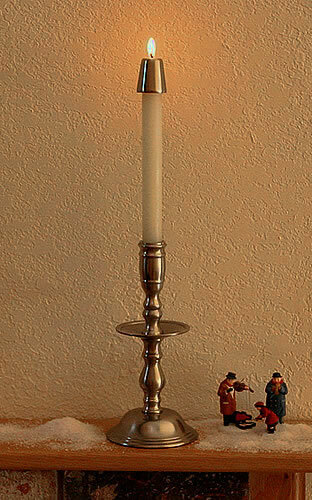 An heirloom quality candlestick in our popular pewter finish with bobeche, measuring 8-1/2" high X 4" base. This 18th Century Candlestick was commonly found on early plantations. The pewter is lacquered to keep it shining, the base is felted to protect fine finishes. Weight: 1 pound 8 ounces. One of our bestselling designs, this bobeche candlestick is cast of solid brass. 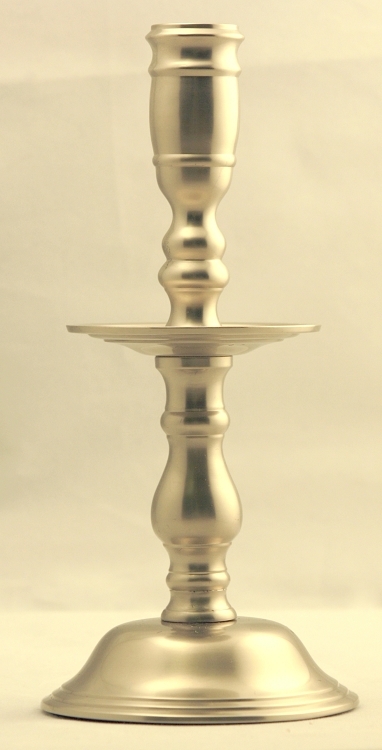 The Plantation candlestick is available in either our Pewter finish, or polished brass.